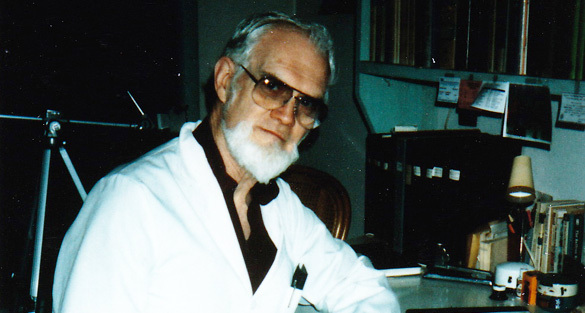 “Lefty” Levengood, a pioneering biophysicist and long-time resident of Grass Lake, Michigan (and the “L” in the original “BLT Research Team”), has died at the age of 88. Educated at the University of Toledo (B.S. in Physics and Mathematics, 1957), Ball State University (M.A. in Bioscience, 1961) and the University of Michigan (M.S. in Biophysics, 1970), Levengood worked as a research physicist at the now-defunct Institute of Science & Technology and the Dept. of Natural Resources at the University of Michigan from 1961 through 1970, after which he was employed as the Director of Biophysical Research and as a consulting scientist for various private-sector companies. Because of his wide-ranging scientific curiosity he maintained a well-equipped laboratory at his home in Grass Lake, where he pursued a variety of interests and obtained multiple patents, several relating to seed germination and vigor and the development of new plant varieties through genetic transduction. 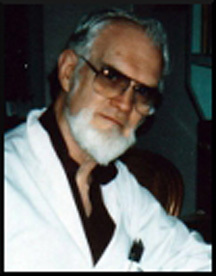 He also authored more than 50 peer-reviewed papers published in professional scientific journals, including several in the preeminent journals Nature and Science, as well as in a diverse selection of other professional publications, ranging from The American J. of Physics and the J. of Applied Physics to The J. of Experimental Botany, The J. of Chemical Physics, The J. of Physics and Chemistry of Solids, Bioelectochemistry and Bioenergetics, The J. of Geophysical Research, to The J. of Insect Physiology and many others. 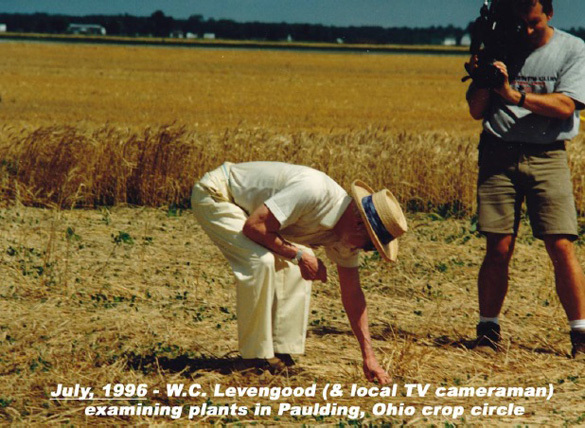 In December of 1990, after his wife Glenna had seen a TV crop circle show (which he then subsequently also watched), Levengood contacted Pat Delgado (one of the original British investigators of the phenomenon) and they arranged for Delgado to begin shipping plant samples and controls to “Lefty’s” Michigan laboratory. Almost immediately Levengood began to find multiple anomalies in the plant samples from within the crop circles as compared to the control plants taken at various distances outside the formations (but in the same fields). In these early trial stages of his crop circle research some approaches were non-productive, while others began to build a consistent data set of abnormal changes characteristic of the crop circle plants. Over the next ten years crop circle plant (and after 1993, also soil) samples and controls were being collected by hundreds of field personnel in multiple countries and arriving at Levengood’s Michigan lab non-stop. During these years “Lefty” worked on circle plants and soils not just from the UK, but also from Germany and Holland, Israel and Australia, the U.S. and several Canadian provinces. In later years circles in Belgium, Poland, Italy and Scandinavia were also examined and three peer-reviewed papers were published presenting many of the research results: Levengood, W.C. (1994) “Anatomical anomalies in crop formation plants,” Levengood, W.C. & Burke, John (1995) “Semi-Molten Meteoric Iron Associated with a Crop Circle,” and Levengood, W.C. & Talbott, Nancy P. (1999) “Dispersion of energies in worldwide crop formations.” The 1994 and 1999 papers were published in Physiologia Plantarum and the 1995 paper in the J. of Scientific Exploration (see: http://www.bltresearch.com/published.php). One of the clearest indicators that mechanical flattening of crop circle plants by planks and boards was an inadequate explanation of the phenomenon–and that a complex electromagnetic energy source was involved instead–was the discovery that the apical (first plant-stem-node beneath the seed-head) node-length increase regularly documented in crop circle plants was found, repeatedly, to match the degree of change consistent with that predicted by the Beer-Lambert Principle, a well-known law in physics which predicts the results of the absorption of EM energy by matter (see Item #6: http://www.bltresearch.com/plantab.php; see also, the introduction to the v/d Broeke case: http://www.bltresearch.com/robbert.php, and the1999 paper: http://www.bltresearch.com/published/dispersion.php). Perhaps the most significant discovery of the early BLT circle research resulted—as is often the case in science—when Levengood accidentally forgot to dispose of boxed left-over crop circle samples which had been deprived of water and light for between 10-14 days–and his observation upon re-opening the box that the circle plants so deprived were not only alive, but growing vigorously…while the controls had all died. He and John Burke were eventually able to reproduce this effect in the lab—creating enhanced growth-rate, increased yield, and increased “stress tolerance” (the ability to withstand drought and lack of sun-light)–in a variety of cereals and vegetables by exposing normal seed to very specific electrical pulses. Named the “MIR process” (Patent #5740627, and carrying the registered trademark “Stressguard”), the MIR equipment delivers “organized electron-ion avalanches” which then form “organized plasmas,” to which the normal seeds are exposed (Item #7, “Laboratory Replication of Crop Circle Plant Changes: http://www.bltresearch.com/plantab.php). Mechanical flattening of plants cannot produce this result…and the fact that the MIR process can replicate this regularly-documented capability of those crop circle plant seeds taken from formations which occur late in the growing season (when the seed is fully formed) is proof, again, that highly unusual electromagnetic energies are involved in the authentic crop circle creation process. Levengood’s published hypothesis regarding the causation of crop circles involves the exposure of the plants to multple energetic, interacting, thermodynamically-unstable plasma vortices, which he felt most likely originated in the ionisphere (as opposed to Terence Meaden’s more meteorological idea of a plasma vortex which originates in the earth’s lower atmosphere)–which vortices, upon impact with the crop surface, then create a wide variety of crop imprints. The fact that plants taken from many “non-geometric” or totally randomly-downed areas also have exhibited the same plant “indicators” of authenticity as many “geometric” circles lends further support to this hypothesis (Item #2: http://www.bltresearch.com/otherfacts.php). Some of Levengood’s crop circle plant findings have been replicated by two other scientists, but the strongest overall substantiation of Levengood’s work comes from the Laurance Rockefeller-funded “Clay Mineral XRD Study” conducted on a 1999 Edmonton, Canada crop formation (see: http://www.bltresearch.com/xrd.php). WCL’s participation in this study was limited to his typical plant work and examination of soil samples for the presence of magnetic material. Of the four scientists involved in the XRD study, Levengood was the only one who had ever even heard of a crop circle—a protocol specifically designed to avoid any possibility of “experimenter bias.” Also, none of the scientists involved knew each other or had any contact during the study. The results showed not only a statistically-significant increase in the crystalline “structure” of the clay minerals examined (at the 95% level of confidence)—but also revealed a statistical correlation at “greater than the 99% level of confidence” when Levengood’s plant-abnormality data were compared with the clay mineral XRD results—the sampled plants and soils having been taken from precisely the same sampling locatons. With a correlation at the 99% level of statistical confidence there can be no question regarding Levengood’s accuracy. Throughout his career Levengood remained interested in transformations caused to living organisms by exposure to various energies, and the methods through which these alterations were achieved. Toward the end of his life his research focussed primarily on bioelectric fields in living organisms and “subtle energies” and methods by which to demonstrate their presence. As seems to be the unfortunate “norm” in the scientific arena today, profoundly new ideas and concepts are often initially overlooked or dismissed, or—if they represent possible serious challenge to currently accepted scientific paradigms—are usually vigorously attacked. Lefty was aware that much of his later work would likely face this problem, but with an ongoing desire to expand his knowledge and though the application of his professional expertise, he persisted. In regards to the crop circles his work has laid a foundation upon which future scientific efforts will build, and he will be remembered by many other people also with whom he worked on additional not-yet-understood “anomalous” phenomena. Obituary courtesy Nancy Talbott, president, BLT Research, Inc.
reason. But what reason could it be, other than being mysteriously urged to do so like Doug and Dave? Doug and Dave, heck what a joke…unless someone laced their cider with LSD the only geometry those two could have managed was the linear vector from their house to the pub and back. Best discussion I’ve ever heard re crop circles was by Mckenna, Abraham and Sheldrake in one of their Trialogues. Remember this was back in 1991, before the swirly new agers got involved too heavily. I also recommend studying Levengood’s work in detail. Especially his crop studies. Real science dobe on fringe subjects. Get a copy of Seed of Knowledge Stone of Plenty by John Burke too. Amazing book. Thank you for honoring Lefty Levengood, how about an update from filmmaker Patty Greer and his actual partner in the lab who knew the truth, Penny Kelly? This article is a nice beginning platform, yet missing important pieces of his life, his research and ultimate demise. “Crop Circle Diaries” serves as an incredible update to this article, and goes much deeper into Levengood’s life and the suppression he dealt with for decades. My 2017 summer lectures are focused on “Why are They Trying So Hard To Hide the Crop Circle Phenomenon Today?” The answers are hideous and stunning! After 16 years in the lab with Lefty and 23 books written, I trust what Penny Kelly said in my 8th Crop Circle documentary movie. First hand testimony trumps misinformation any day! The technology discovered within the spinning plasma vortices has the ability to bring back our food and biofuel crops at a rapid rate by producing 30 to 400% more yield with up to 75% more nutrition per plant! Crop Circles offer this technology freely and it’s time for the world to take advantage of this wisdom! We know how and we have everything we need today. “Crop Circle Diaries” came out in 2016, causing me to become the most hacked UFO filmmaker in history, without competition. The movie is THAT important, and so is the technology!! It’s time to move our understanding forward. “They” (the scared ones) closed our research center last summer in Wiltshire, England which was where researchers met every morning. It’s gone, done, over. We have nowhere to meet other researchers in the Crop Circle epicenter, Wiltshire, England anymore. Amazon.com pages 1 and 2 for the category, “Crop Circle Movies” are now filled with foolish crop cartoons and a couple of old outdated crop circle movies. My NEW explosive data filled movies have almost disappeared on the Amazon and vimeo platforms, after this extensive year of fraud. I tolerated more than my share of hacking last year and chose not to disappear and give up bringing this data forward. Numerous federal offenses, international crimes and names were reported, yet they are still at it as we enter 2017. My $20 movies were listed on Amazon last week for $750.64 each, and have now been removed. They’re seriously wasting their time and leaving a massive trail of physical evidence. This is the most important film I’ve ever produced by far and it cost me a home to get here. Ultimately I trust this will be a small price to help humanity win the war against our knowingness. I believe that we are very close to Full Disclosure finally, but only if we deliver REAL information! Please check out this controversial movie soon, it could change UFO history forever by delivering the truth about Crop Circles!